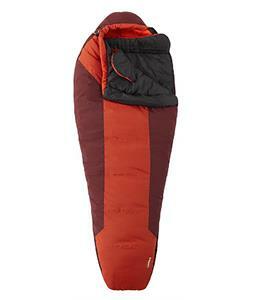 Light and warm, that’s what every hiker should seek when selecting a sleeping bag. 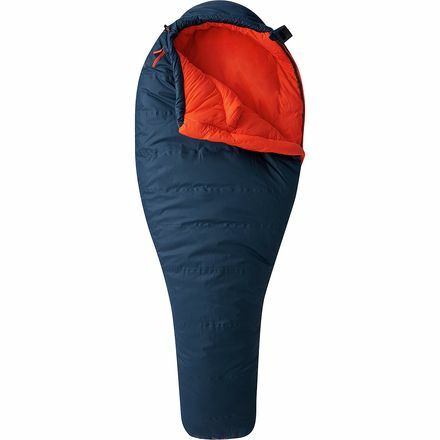 With a weight of 1 kg and 5 ° C in temperature comfort, Lamina 35 Mountain Harwear is a product that looks interesting at first.Until now, I had used sleeping bags in natural filling (down). I had, therefore, never needed to focus on the qualities of synthetic filling, namely: Moisture good strength and a lower price. 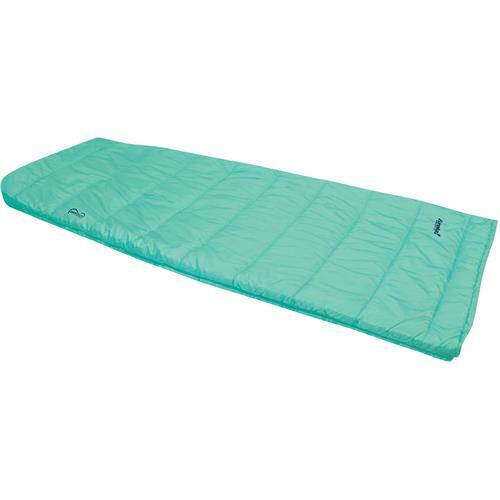 The Lamina 35 is actually lighter and in addition it is compact (it’s far from the case of all synthetic bags).This is a really positive thing when we go camping. 500 or 600 grams that one does not have as much fun as we have to walk longer or farther. In terms of volume it is in the middle of what is found on products of this comfort temperature category. 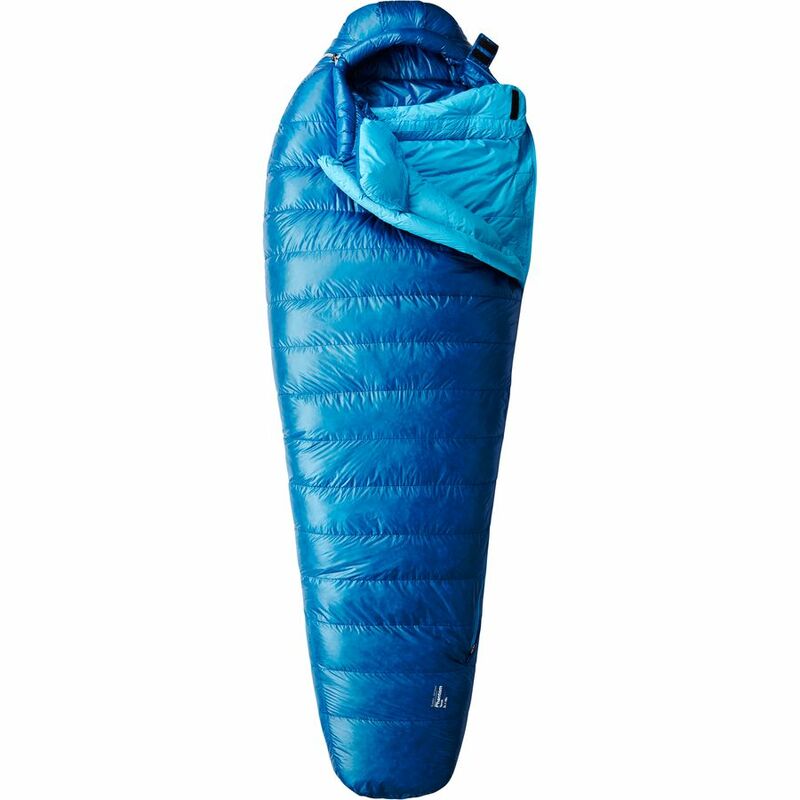 Although the compressibility is not the strong point of the synthetic, that of Lamina 35 is relatively close to what is done in the bags down. The bag takes final little space in the bag. The outer fabric that is water repellent ripstop and treated, inspires confidence. 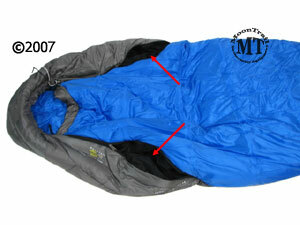 The side zipper is of good quality, strong enough. 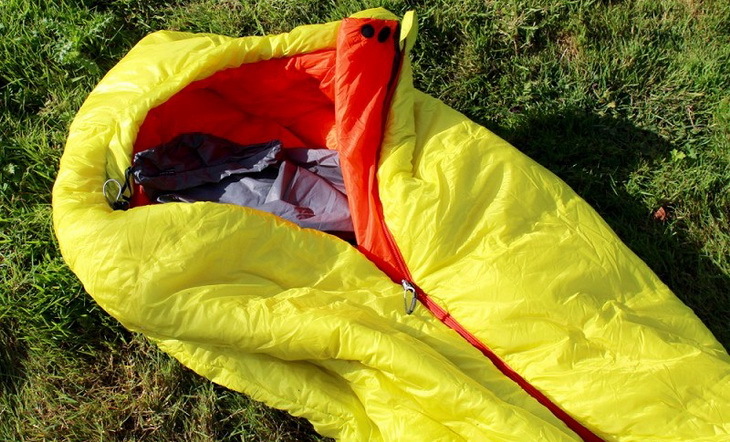 The bag has a small external pocket for earplugs or headlamp. 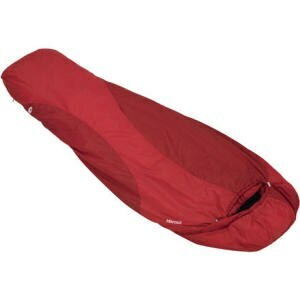 Overall, I tested this bag in 5 nights, with mild temperatures of spring. Indeed, the lowest temperature at which I could test it was down to 6 ° C, close to the temperature of comfort announced by the manufacturer. 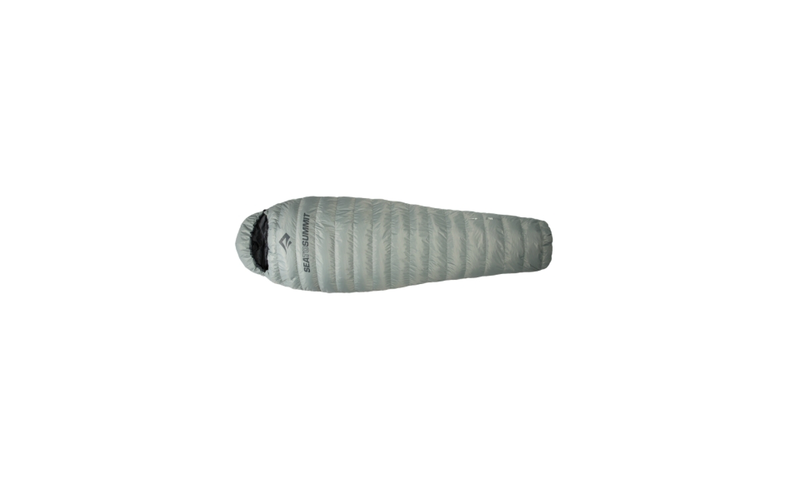 Mountain hardwear designed its duvets according to Lamina technology that has no seam between the trim compartments, there is no thermal bridge between the compartments or with the outside, ensuring optimum insulation. I have not been cold with the duvet being at the comfort temperature and sleeping ave only a shirt and underwear. 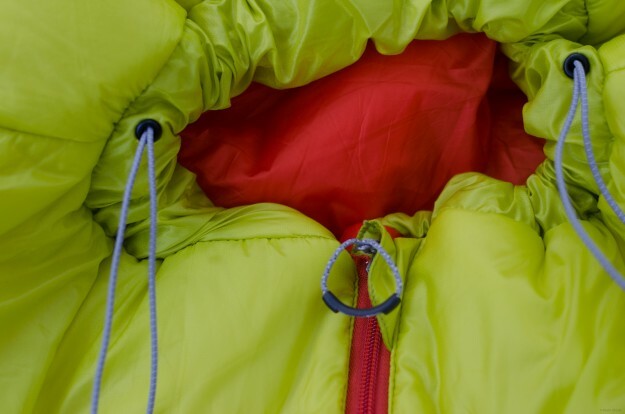 By completely closing the hood down and we are in comfort zone with temperatures close to those announced, however I do not venture below 5 ° with this product, has less to thermal layers Merino to sleep, which can be a very good strategy for managing weight in the bag for comfort on temperatures between 0 and 5 °. 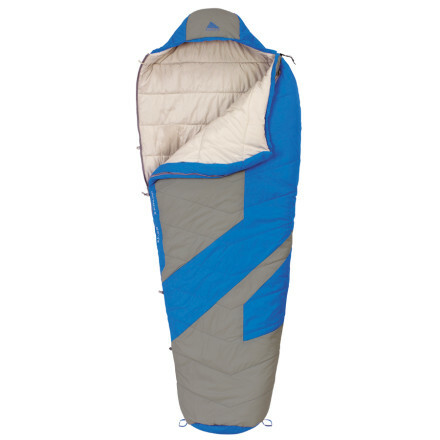 The bag has no additional flange, which is quite normal for this kind of product whose purpose is not to sleep in the cold. 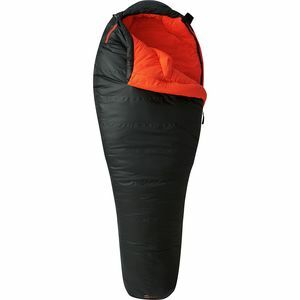 The sleeping bag that I tested was in regular size with a length of 198 cm and a width of 80 cm at the shoulders, and I confess I felt a little cramped with my 1m85. 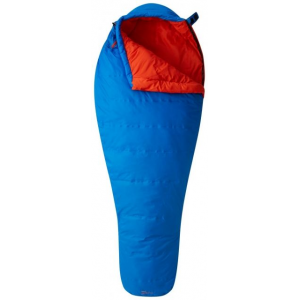 If you make more 1m80 opt for the longer version to be comfortable and do not feel too bundled up. 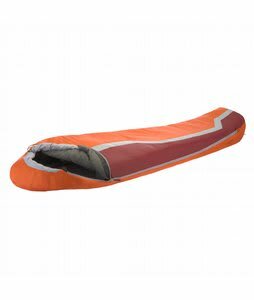 I was able to test the moisture resistance of the sleeping bag during a boozy night and windy with high humidity inside the tent, bag performs well in its terms. The water repellent treatment protects well and humidity stays outside of the down. I wanted to push the test by exposing the bag to standing water for 6 minutes. 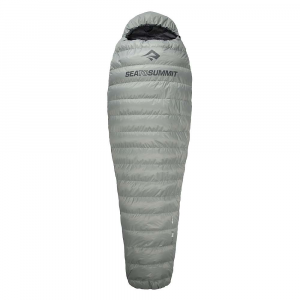 It has not penetrated, at least I did not have the patience to wait until it begins to penetrate, which is a very positive point for this sleeping bag. 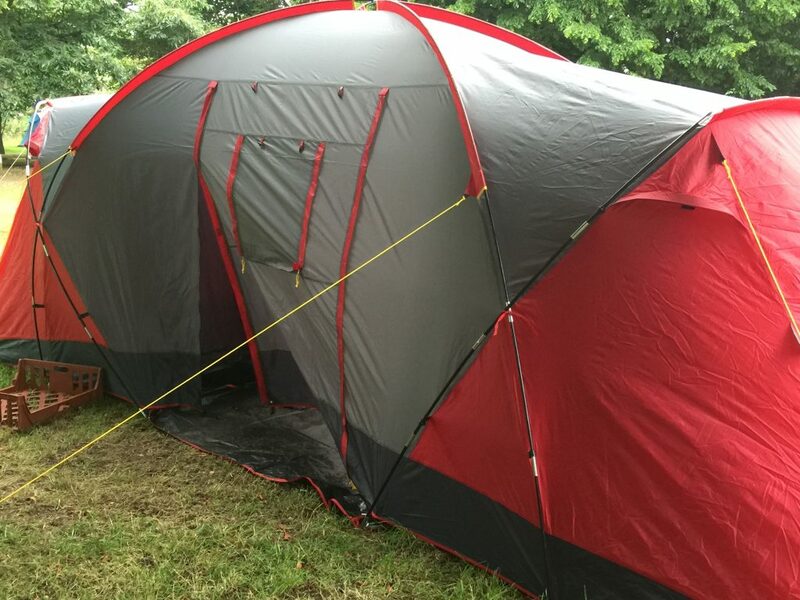 The fabric is wet on the outside, but water does not infiltrate.